I posted a Facebook message at today about the father of Julie Bailey, a Visual Services rehabilitation teacher from Tulsa. 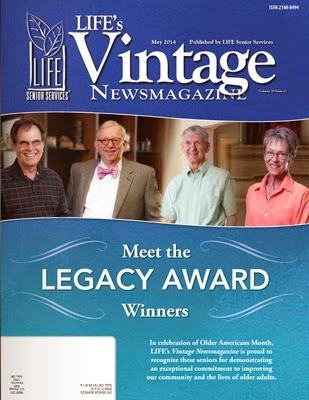 Marion W. McFadden’s inspiring story is published on page 19 of the May issue of Life’s Vintage News Magazine. He was born with congenital glaucoma and vision in one eye. His employment and personal accomplishments, especially before technology that is available today, are impressive.